Students or recent graduates without the experience needed to get a job usually have equal chances as entry-level professionals to appeal to employers. The only thing required of an applicant is a professionally-written, entry-level resume that is specifically designed for entry-level job seekers. You are supposed to have entry-level experience and there is no need to lie to an employer that you have had industry experience. Your entry-level resume should contain catchy phrases and emphasize your adaptive skills to overcome a lack of experience. An effective way to show an employer that you are ready to gain experience is to express a strong willingness to accept difficult or less desirable conditions to break into a field. Reading an entry-level resume, an employer should immediately see that you are a young person full of enthusiasm and well-qualified. 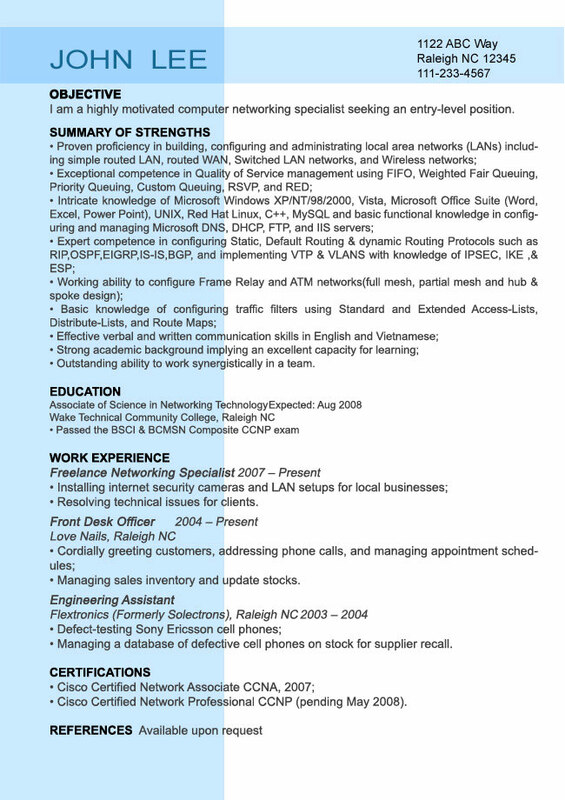 Resumesplanet.com understands that, as a job seeker with little experience, it is difficult to look for anything acceptable that shows your experience to a potential employer. Training, volunteer work, and education can be skillfully presented to serve as evidence of your capabilities and abilities to do the desired job. That is why our professional writers are ready to help show off your skills and qualities by designing a well-focused, entry-level resume for you. We believe that an entry-level resume sample provided by our reliable, resume-writing services will be useful for entry-level job seekers looking for their first job.